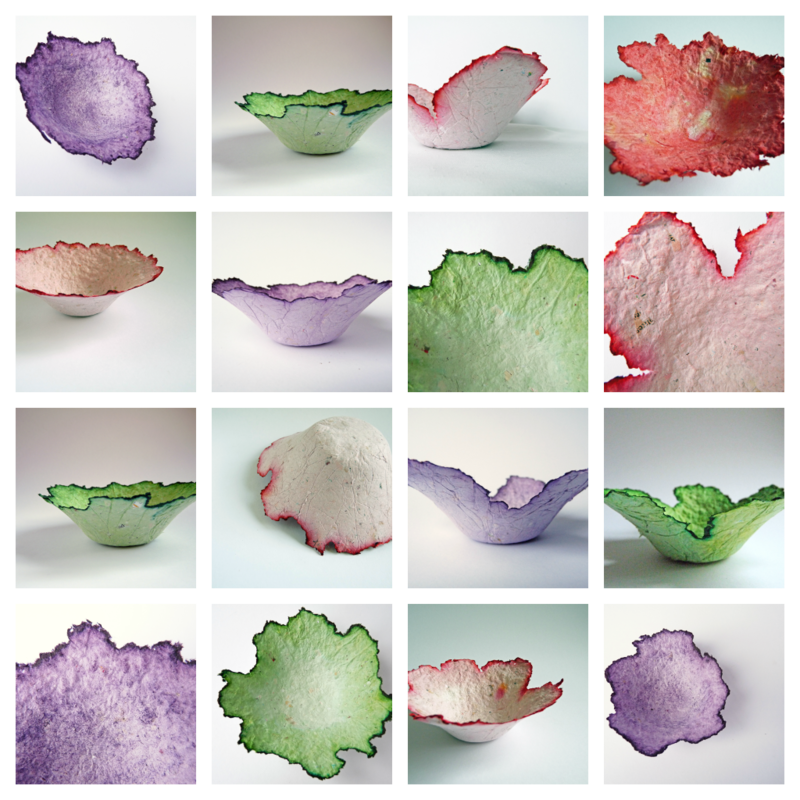 I'm very happy to tell you that my paper bowls are now up for sale in my Etsy shop. I have pinks, purples and greens, and together I think they look very fresh and spring-like. The single red one in the top right hand corner has now been sold. I'll be a little sad to let it go, as it was the only red one I had, and was the first one I made. But I'm sure it'll make its new owner very happy and that thought consoles me. Now that the moon is waning I think some darker coloured bowls are in order. So I think I'll have a go at some black ones next and then perhaps some earthy browns, or maybe I'll give in to my inner watery-ness and go for some blue or turquoise, as my Facebook friends have suggested. These are beautiful! I saw your post when making these. It was send out by the interactive blog team on Etsy. I'm your newest follower!